If there is a reason for you to go green other than just protecting the environment then allow us to remind you that St Patrick’s Day is just around the corner. March 17 happens to be a day of significance for Irish people to remember the revered St Patrick instrumental in converting the pagan masses during his time to Christianity. Therefore, in memory of the saint, the day of his death is celebrated worldwide as St. Patrick’s Day. Right here in American homes with Irish descent, this is a special occasion for people to celebrate the day remembering the contribution of the revered saint. Every year, millions of people both Irish and non-Irish people gather together alongside family and friends wearing the traditional green color. 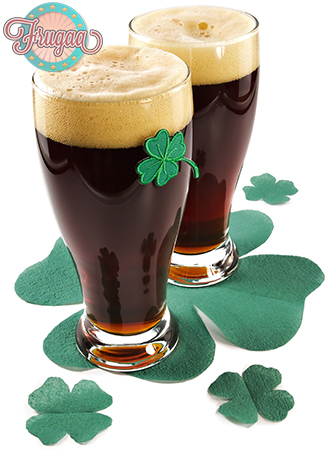 The day marks as a secular celebration rather than a religious holiday, and in this post, we shall tell you great ways to celebrate St. Patrick’s Day. Get in the festive spirit of the season and enroll yourself for some Irish Dancing classes. This popular form of dancing is a common feature in street parades and functions on St. Patrick’s Day. Irish Dancing can be done solo as well as in groups. A quick google search can reveal some Irish Dancing classes that you can indulge in. There are many dancing competitions as well during the day that you can participate in, and the best part is that you need not do this alone. Tag along your partner, family, and friends for a good time. Looking forward to doing some shopping this season, enjoy up to 30% on all orders from Amazon.com. 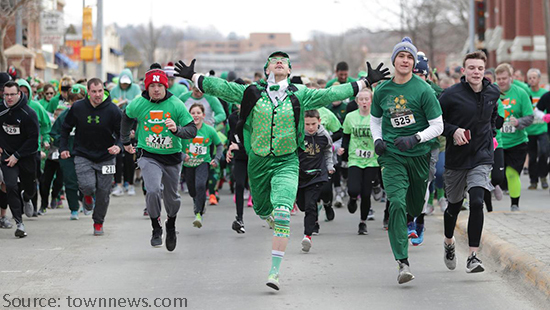 Apart from parties, parades, and functions, there are other endeavors like Shamrock themed races that take place countrywide in honor of the saint. There are many small races as well as 5k and 10k races that you can register yourself. Not only it’s a great way to start your day, but you can also let yourself be a little wild for the day. Instead of spending money on booze and beer, you can get yourself some green gear for the race. Conventional is boring, and this is the day you can kick things a notch. It also makes for a great conversation starter with fellow athletes and people you encounter. Use the opportunity of St. Patrick’s Day to relish some Irish dishes you have never tasted before. Many restaurants spice up their menu to serving traditional Irish dishes, some even a week before the actual day. You might surprisingly find yourself some fantastic food that you can enjoy with family and friends. If you are someone who likes to experiment with food, then try making some traditional Irish food at home. Bring over the party to your place and prepare some authentic Irish dishes for everyone. This is indeed a great way to push your culinary boundaries for the season. A St. Patrick’s Day celebration is incomplete if you are not chugging a good pint of the famous Dark Guinness Ireland is so unusual for. There are a great many Irish pubs that you will find in your city where you can enjoy the right lug of the famous black stuff. There are also great offers doing the round this time around that you can take advantage of. If you are someone who would wish to skip this, then you also have an alternative in the form of good Irish whiskey. People are looking not to have booze altogether then there is also an option of having some Irish tea. Irish people are known to be obsessive tea drinkers and this time around; you can make way for some instead of the regular coffee to begin your day. If you genuinely wish to enjoy the Irish spirit of St, Patrick’s day, then what better way to celebrate it than heading down to the place of its origin. There are some tours and packages available like the Antrim Glens and the Causeway Coast or the Ultimate Ireland Discovery tour? Take this opportunity to explore the original countryside and enjoy the enthusiasm of the day in the most innovative manner possible. This is an opportunity of a lifetime you will not regret. Book an Irish holiday today from Booking.com and get a minimum of 25% off for a 5-night stay and a range of other good holiday deals. So, there we have a small list of some of the great ways you can celebrate St.Patrick’s Day this year. Whoever said you couldn’t have a joyful celebration this season.